If this is your first time attending one of our events, be sure to read our tips & tricks. Here is the line-up and here are the menus. I think 2017 has been a great year for food trucks in Edmonton. With around 100 trucks and no shortage of opportunities to patronize them, our city’s food truck scene has continued the momentum built over the last few years. For What the Truck? !, it has been a year of transition. After Saturday we will have run just two of our own events this season. 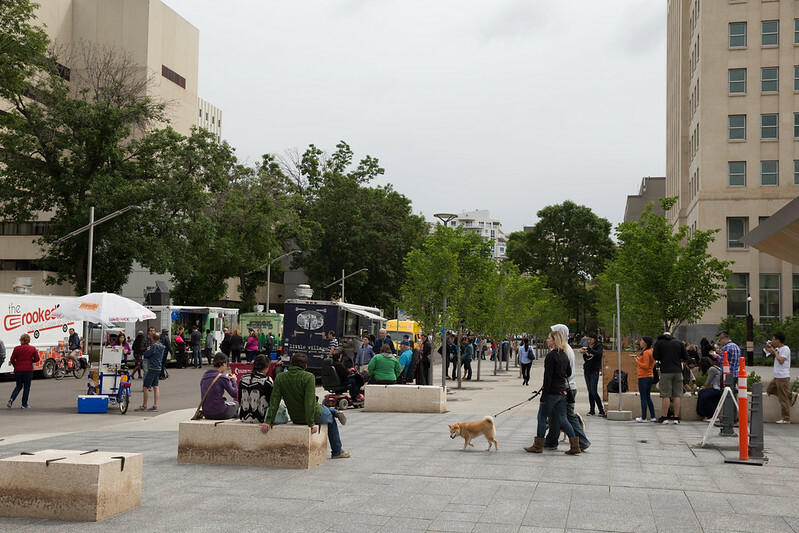 In many ways we have accomplished what we originally set out to, so the way we can best support food trucks in Edmonton is changing. We do that behind-the-scenes with our Book the Trucks form and we’re working on how best to use our network to grow the scene further. To that end, I’m excited that Cindy and Diane have joined our team in recent months to help with social media and communications! I’ll write more about that on the What the Truck?! site soon. See you on Saturday at Capital Boulevard!